Groupe Intellex paper on Smart Cities/Intelligent Communities (The Prospects for UK Places – PDF Download) has been published by Computer Weekly – an appropriate journal for technological enthusiasts who, we believe, need to see their innovations in a broader context. In this paper we drill down from the heights of ‘Intelligent Communities, through Smart Technologies. Urban Operating Systems, Open Data and Analytics to the bedrock of future-proofed broadband – only to find an even deeper layer: the local leadership that is needed to enable all these developments to happen. At NextGen15 we will debate with Richard Hooper (BSG), Barney Lane (Colt), Anna Krzyżanowska (European Commission), Edgar Aker (FTTH Council Europe), Dr Julia Glidden (21c), and many others with direct UK field experience of deploying future-proofed broadband networks – and all under the guidance of moderator Richard Jones (VentureNext) whose own broadband ventures in many countries reveal deep insights. Registration – discounted rates available for NextGen Partners/Members, Public and Third Sector delegates. Since 2011 the history of the Urban Networks Award illustrates two things: how new connectivity providers have entered the market and how far customer expectations have grown. This year’ shortlist again highlights connectivity for businesses – where (relative to households) the demands for future proofing are more intense and where shifts in costs (downwards) and revenues (upwards) are transforming investment models. CityFibre back again with Peterborough: Gigabit City – a project that has a ‘business first’ plan. Metronet (UK) Limited – with a wide range of advanced hybrid wired and wireless Internet services for businesses. All the shortlisted contenders will be reviewed by the independent judging panel during September. The winners will be announced at a dinner in the House of Lords following the NextGen 15 event on November 5th. The Rural Network Award has been part of the Digital Challenge since 2010. Previous winners include B4RN – now recognized across Europe as an exemplar of community investment. With the launch in September of ICF’s 2016 Connected Countryside campaign we can expect far greater recognition of the massive economic growth contribution that originates in areas beyond the major metros. Abthorpe Broadband Association – The Tove Valleys journey, from Satellite to FTTP, illustrates more than a decade of development. The villages and remote properties are now served partly by fibre directly to their premises or via wireless from village access points. Gigaclear plc – Piddington and Ludgershall ultrafast broadband deployment. These rural communities had one of the fastest ever sign ups with the support and help of the local people. Lothian Broadband Networks Limited – Providing Fast Broadband in Rural East Central Scotland. Lothian Broadband provides high-speed wireless services via strategically positioned masts to reach 1000s of village properties that would otherwise be on the wrong side of the digital divide. Satellite Internet – Superfast Satellite for Communities (SS4C) – positioned as a solution for extremely hard-to-reach areas. Using a mix of satellites with different footprints, there is now a range of flexible packages that can deliver a variety of services. Vfast Internet – Providing super fast access to some of the hardest to reach communities across Kent. Vfast uses its fibre network to feed local wireless broadband services and now also offers a fixed line service for customers within range of its local cabinets. The independent judging panel will review all shortlisted contenders during September and the winners will be announced at a dinner in the House of Lords following the NextGen 15 event on November 5th. Most Groupe Intellex writing appears first on our old home site which is long overdue for redesign. The shorter postings here are often brief summaries that link back to the full story – but flagging them here has two advantages – firstly the auto-tweet mechanism works more reliably and secondly this site enables comments and feedback from readers. Today’s post is about two recent writings that really need to be read together. As ever at this time of year, the FTTH Council Europe Annual Conference (this year in Warsaw) brings an intense focus on the reality of fibre technologies, new understandings of user experiences, the surprising impacts on network revenues and cost-reductions in network deployments – particularly in construction costs. More than that, the longer-term implications beyond 2022 get the attention of analysts and provide a useful context for current policy debate – especially in the UK and Germany where long-standing addictions to short-term goals (under cover of investment caution) seem increasingly out of kilter with demand and long-term economic health. Then, coming back to the UK, one cannot help but notice that, remarkably, there is a sea change in the awareness of private and public policy influencers evident in multiple reports – the painstaking work of committees, commissions and consultations that has moved beyond acceptance of legacy constraints. Even in the House of Lords they have noticed that ‘We are facing a tsunami of technological change, driven by the digital revolution, affecting virtually all areas of our lives.’ Pushing against the wall, the muscle of ‘something must‘ now has the strength and determination to become ‘something can and will‘. Cynics may say that this is but advanced wishful thinking – too early to call. 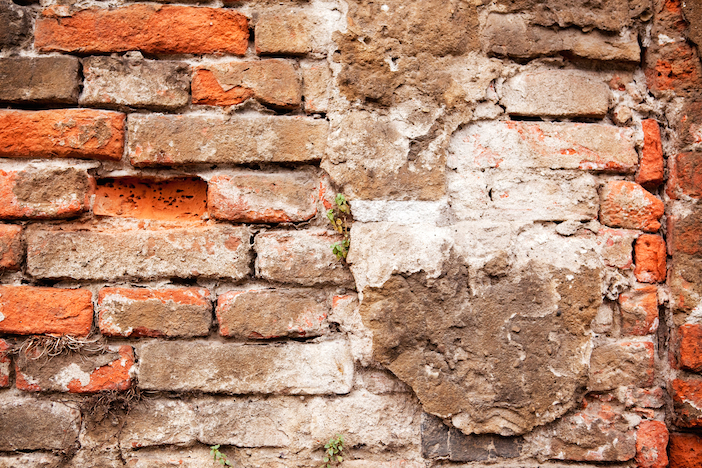 But the wall is beyond patching. The weather has set in. The mortar mix (equal parts, fear, ego and greed) is crumbling. Time to take it apart and build something sustainable. Following a week where Judith Rodin’s book The Resilience Dividend coincided with reports from ETSI on great progress in NFV standards development, it was perhaps inevitable that we’d find ourselves musing on their similarities. For Networks: getting our acts together we found that Megan Wu’s graphic captured a blend of cityscape and silicon. Network technologists and Community builders – different disciplines tackling much the same processes. 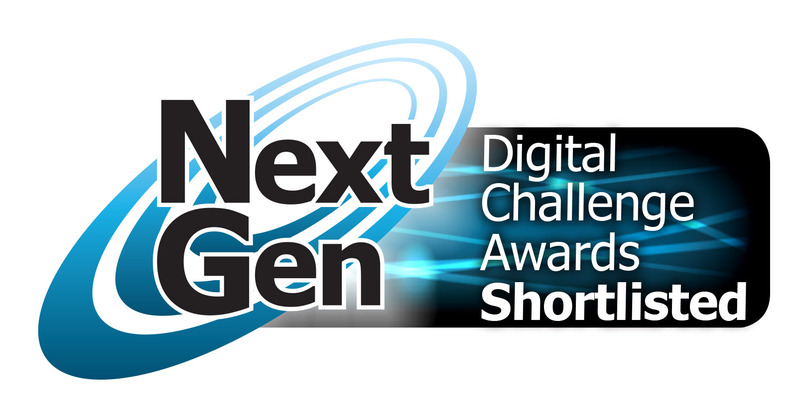 The UK’s Next Generation Digital Challenge is an annual awards programme that culminates in an award ceremony in October – this year at Wembley during the NextGen conference. The entries this year are interesting for at least three reasons. Firstly the Open Nomination phase resulted in more than three times previous entry levels. Secondly analysis of the entries showed that there were now sufficient entries to justify support for three new categories – in Open Data, Digital Skills and Digital Innovation – in addition to the traditional categories for digital network developments. Thirdly the entries show an increasing awareness of the value for local communities and the economy of long-term investment in digital infrastructure. With this higher level of entries, up to six nominations in each category have now been selected to go forward as Finalists for assessment by an independent judging panel and all of those short-listed will be invited to make brief presentations at NextGen13. Seeing the Value – will the UK Public Accounts Committee make the connections? In matters of broadband policy many folks would not normally rate the chances of UK Parliamentarians having sufficient awareness to probe government policy to any great depth but in July their Public Accounts Committee will have the benefit of the National Audit Office report on the delivery performance of the Department of Culture Media and Sport – the current policy owner for the UK’s most critical infrastructure development. Hearings of the Public Accounts Committee of the UK Parliament seem an unlikely platform for articulation of radical policy ideas. The PAC may be regarded as ‘influential’ but in practice government can ignore its reports and the committee has no direct vote on policy issues. At its best they can capture and deliver views that are of common concern – views and sensitivities that any government might be foolish to dismiss – and this is why the combination of the NAO, IE and PSI reports is now so powerful. Centre-right policy across the entire economy is firmly grounded in a view of competitive market efficiency that is so often a misinterpretation of its roots in the USA. It is true that radical approaches to infrastructure provision in the USA have been routinely opposed in the courts with intensive lobbying from established industry interests. That however has not prevented 135 municipal FTTP access networks from being deployed and is not deterring many others now in the throes of feasibility studies. Indeed their regulator, the FCC, is actively encouraging the growth of new entrants to deliver local ‘future-proofed’ Gigabit networks – often in conjunction with local municipal Energy companies. The reason for this municipal non-conformist economic behaviour is quite simple. These cities and communities need jobs and economic growth – and someone has rumbled that the global market for the expertise that is engendered is not just huge; it is vastly greater than the growth prospects of an industry dedicated to limiting its own long-term growth in the interests of short-term market gains and value extraction from an outdated analogue infrastructure. On the other side of the Atlantic the policy view of connectivity is analogous to their recently reframed position on Climate Change. After years of resistance, after listening attentively to oil and gas lobbyists, realisation has finally dawned that the global market for sustainable energy is real, that climate change is real, and there’s an urgent need to gain qualifying experience if the opportunities are not to be missed. The PAC may perhaps wonder why the Connected Cities programme is so lacking aspiration and urgency that the public funding is almost entirely ending up with established interests who are not keen to see citizens and enterprise provided with future-proofed fibre access networks. They might argue the point from the view of Health, Energy, Transport, Environment, Education, Social Services or any departmental position that is now critically dependent on a fully connected digital economy. They might even question the oddly antique view that the Information Economy is some small but growing sub-sector of UK industry – some clever clogs that do strange digital things – rather than the primary focus for revitalisation and rebalancing across the entire economy. And, while they are rightly focused on public expenditure they might wonder about value for money for expensive public sector networks paid for by the public purse but not, it seems, allowed to be used for the benefit of citizens. The digital penny may perhaps have dropped in a corner of the Department for Business Innovation and Skills but it is surely the Treasury that needs to understand the risks and true cost to an economy that cannot afford to prop up relics of the past.